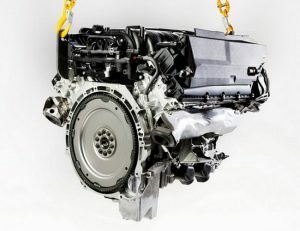 Looking For A New or Used Landrover Engine? Looking for Land Rover engines for sale? Perhaps you are looking for a Land Rover stripping for spares? Whatever you require, let us help you find what you need! Our company is a portal to a network of land-rover scrap yards and engine importers that are located all through South Africa. When you call us or use our enquiry form, we will send your request to our network instantly. Save yourself time from calling each supplier and wait for them to contact you. We also can help you find engines for all Land Rover models including Range Rover, Defender, Freelander and Discovery models. 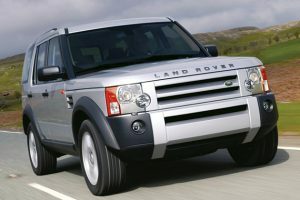 I am looking for an engine for Land Rover Discovery 3,2007 model diesel. I am looking for a 2L engine for a Range Rover Evoque si4. Please send me quotes for the above mentioned vehicle enjin. New or reconditioned with a warranty. Rover 75 2.5kb6 looking for gear change cables and left hand electronic window winder mechanism, in the Johannesburg area please. looking for a complete sub-assembly on a Rang Rover 3 liter diesel, 2011 year model, new sub-assembly please. Nelspruit, looking for a Landrover, front suspension, model n.a, engine size n.a, please return call. Hello I am looking for a 2L engine for a Range Rover Evoque si4 2014 model. I need an engine for a 2010 Range Rover V8 Diesel, I am in Krugersdorp, please call back with price and availability. I cant remember the engine no. Landrover is regarded as the most fancied vehicle makes for a number of apparent causes. It is fashionable, exclusive, powerful, posh and comfortable. Because of this, it isn’t hard to understand precisely why Landrover is among the typically bought brands. Nonetheless, it is pretty high-priced and buying used landrover engines for sale can eat deep into your budget. Many people leave their cars abandoned for a long time searching for money to purchase brand-new engines for substitution and also for repairing of landrover problems. This may lead to all the more impairment because the motor rests without running for an extended period of time. Surprisingly, you can actually buy used Landrover engines at an inexpensive price, and restrict the damage as you still enjoy the convenience of your car. Many scrap yards within South Africa deal with Landrover engines, so that you can be sure of purchase them. On the other hand, you should take your time when deciding on these organizations to ensure you are getting high quality auto engines that wont contribute to more damage to your 4×4. Some points to consider when looking for used engines. Many scrap yards deal with second-hand Landrover engines all around South Africa. In spite of this, not all Landrover engines distributors in SA that you encounter are all well-performing! Reputation – A firm’s track record will confirm a whole lot if these are a reputable supply of good used Landrover engines. Scrap yards who have frequently supplied dependable second hand spares will definitely have a great reputation for the location. Reports, online testimonials, as well as word-of-mouth stories from previous customers will help you figure out what you can anticipate when confronted with a certain supplier. The content material that the buyers released will aid you to determine if the vendor is really worth selecting along with what you can expect from them. Quality Guarantee – An experienced supplier will not only provide second hand engines but also gearboxes too that normall have a 30 day guarantee. This is especially true if you are intending to utilize a separate service to install the substitute auto engines. Primarily, you will be sure of finding the right auto engines that will serve you accordingly. Assortment – The right Landrover scrap yards have many used engines to suit virtually any type of Landrover. 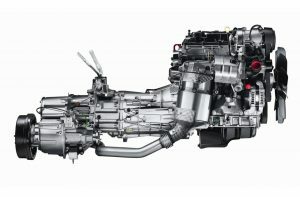 This kind of big choice will let you ensure that you are getting good quality engines. In some instances the engines will come from late model Landrovers that had been taken off the road due to a major accident. Additionally, these engines can also come from aged model 4×4’s which simply are no longer road worthy. There are plenty of other issues to think about. Aspects of insurance, affordability, restoration solutions and warranties are very vital to obtain. Where are you able to find the 2nd hand Landrover engines for Sale? The process of finding used Landrover engines for sale in South Africa is comparatively painless specially given that probably the most legitimate companies have expert web sites that provide you with the detailed information you might need. To find these businesses, basically perform a internet search for companies that can be found close to your home or business office. You will subsequently be able to use the factors identified above to narrow down the search results and locate the most effective seller. If you are not comfortable deciding on a scrap yard based on serp’s, it’s also possible to simply complete the enquiry form on the right and you will instantly contact our network of Landrover scrap yards. By choosing to get your used engines from this kind of reputable dealer that is qualified to sell landrover spares in South Africa, you can be sure you are receiving a great price and a top quality spare part.